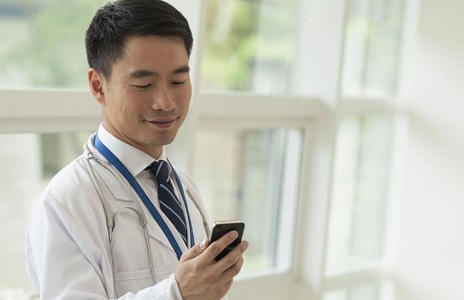 Whether you want to improve your care process, reach new patients, or simplify your communications, Healthchat has a solution to help you grow. With Healthchat, you can bill for your time, at your own rate. Get reimbursed, or charge per encounter. Our patented technology allows you to attach reimbursement codes to each video to help you capture more revenue opportunities using your existing billing process. Seamlessly integrate Telehealth into your EHR, with no impact to your workflow. Our Simple API® makes it easy for any size practice or organization to implement. Or you can chose to use Healthchat as a Stand-Alone platform, enhancing your existing processes. Some of our supported platforms include Cerner, EPIC and Athena Health. Contact us to learn more about integration options. Add assistants to help triage your messages and prioritize which ones require your personal response. Messages don’t disappear. All of your conversations are saved by default in the Healthchat Cloud, never on your phone or desktop. Integrate Healthchat with your existing applications and EHR system through our Simple API®. 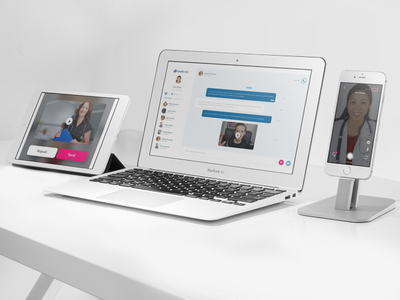 Wherever you are, whatever application you use – Healthchat helps you communicate quickly and securely. You’re in charge of when and where your patients can reach you. Respond to messages at a convenient time: once a day, twice a day, or as they come in. Offer after-hours care, convenience and simplicity, setting you apart and increasing your patient retention and referrals. 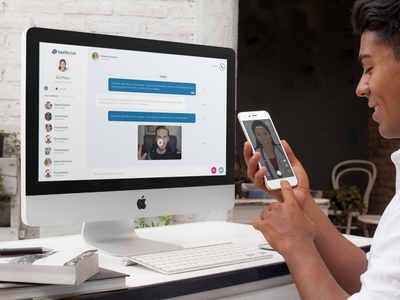 We understand you may have different uses for our communications platform, so we built Healthchat to be flexible and customizable. You can mix and match features to achieve your unique goals and enhance your user experience. Request a personalized demo for your practice. Our hands-on approach makes implementation stress free.